STiKKi Products has introduced its latest innovation -- industrial linerless labels in a reel. Linerless adhesive paper is wound on itself with no need for a release liner (or backing sheet). 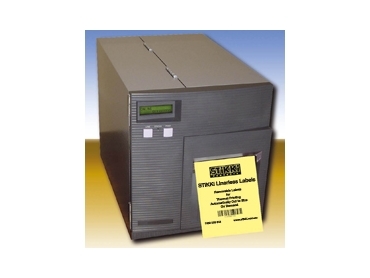 Linerless labels for industrial applications can be printed with a new linerless thermal printer - a revolutionary model in the industrial sector, printing high-speed labels up to 100mm wide even when text, graphics and label dimensions change between each label. The complete package incorporates the linerless thermal printer complete with label cutter encased in a rigid steel chasis, with a 100mm print width. Wider widths are under development.